I realize I'm posting another Gwyneth Paltrow recipe but that is for one very good reason… it's the only healthy cookbook I own. Actually I take that back, I just bought Agains All Grain but I haven't actually cooked anything from it yet. 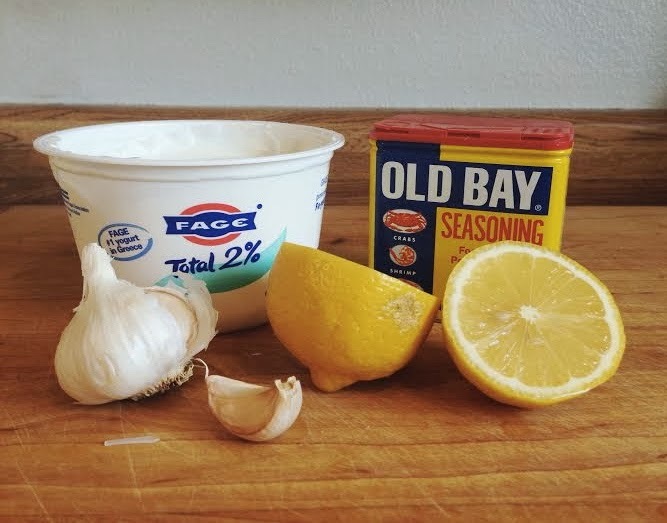 Back to GP's Old Bay Ranch Dressing, this isn't a traditional flavored ranch, to me it's more garlic-y and works best as a dip. 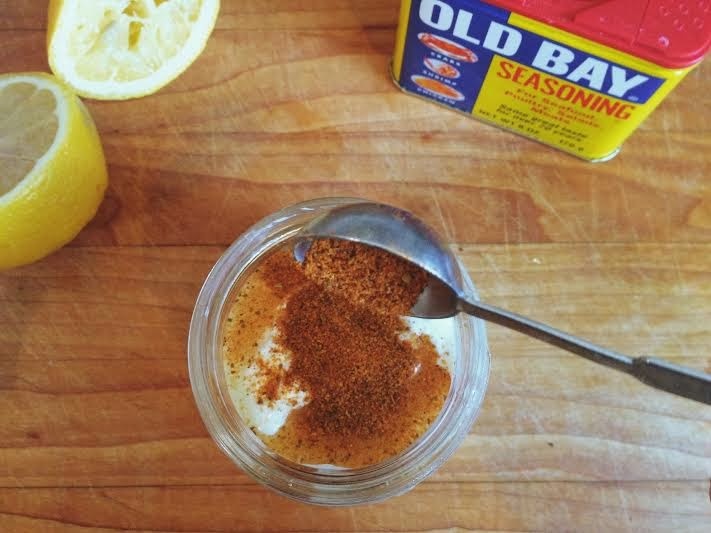 I had been wanting to try this recipe since I first got her cookbook last year but could never get my hands on Old Bay seasoning. Well apparently I had been looking in the wrong section because at my grocery store they keep it near the seafood section and not in the spice section. Go figure? About a month ago I was at a friend's house for our monthly homeschooling meeting and she made this for the group, it was love at first bite! Thick and creamy with tons of garlic, what more could you ask for! Keeps well in a jar in the fridge for up to a week. This is where I'd add the photo I took earlier with the veggies I had to go along with it but when I took my photo to the Apple store earlier this evening they reset my phone and the image was lost. No biggie, you get the idea. Give it a try, it's really tasty and perfect for dipping veggies. Is there such a thing as finding health when you don't have much time, willpower and love lots of butter? We are two moms on a journey to healthier habits and are certain it will be a bit messy. I am not a “put together” girl… I often discover a rip in my dress a little too late, or get caught making up words when the correct ones fail me. My heart does a “pitter-patter” for nature, candy, adoption, reading, coffee, thrift shops, messy hair and tattoos. I love my husband, Jonathan, and our two girls. I love the Lord and hope to shine for Him. I am better at starting projects then I am at finishing them. I love to cook, sew, read, and pretty much anything else that can keep me from doing a load of laundry. I love my husband and our girls a ton. And I'm thankful for this life.